Durante nossa estadia em Nova Iorque além de conhecer mil lugares diferentes aproveitamos para fazer essas breves pausas. 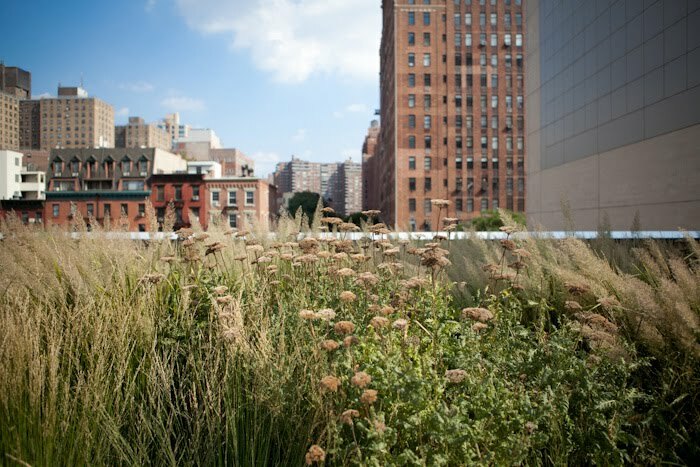 Passeando pela outra ponta da High Line um senhor com um ipad nos chamou a atenção. É a tecnologia alcançando todas gerações. During our days in New York besides getting to know a lot of cool and different places, we enjoyed our time to make those pauses and watch our surroundings. 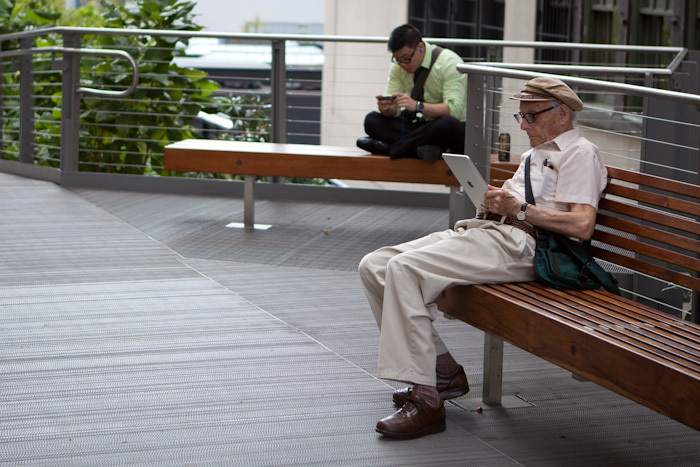 Walking around the part of the High Line, an old man using an ipad caught our attention. It's technology reaching all generations.